Since the establishment of the first crypto-to-fiat platform, exchanges have been subject to intense scrutiny from banks, regulators, and most importantly, the consumers and investors themselves. Despite its veteran status in this nascent industry, Bitfinex isn’t exempt from this scrutiny, as a few too many controversies have rocked the Hong Kong-based startup over its near-six-year history. Reports suggest that the next scandal is brewing as we speak, leaving traders wondering — what’s next for Bitfinex? Per insider knowledge, as relayed by Bloomberg, Noble Bank, a Puerto Rican financial services provider, dropped clients in early-October as it ran into harsh financial issues. Although this news slid under the radar of legacy market investors, many in the tight-knit crypto community were shocked when sources divulged that Noble had lost the business of Bitfinex and Tether. While this news may have been run-of-the-mill for any other established crypto platform, like Coinbase or Gemini, the fact that Bitfinex lost its primary banking partner for the umpteenth time left many scratching their heads. Throughout the platform’s relatively short history, the firm’s finances have been thrown around like a hot potato, as the banking partners the exchange has sought haven’t felt comfortable associating themselves with Bitfinex. The exchange’s tumultuous history hasn’t gone unnoticed, as many well-versed crypto traders have outlined their apparent hate towards Bitfinex on a few too many occasions. Noble’s situation was no different, of course, with many immediately taking to Twitter to claim that Bitfinex was on the verge of financial disrepair. Seeing that Euro, Japanese Yen, and Great British Pound deposits were disabled after the Noble Bank news broke, the semblance of a price premium started to form, with Bitcoin trading a smidge higher on Bitfinex in comparison to the other foremost platforms. In a scramble to secure a banking relationship, as spotted by The Block’s Larry Cermak on Saturday, the startup seemingly secured a business account with HSBC, the world’s 7th largest bank, under a shell account. As later clarified by The Block, however, Bitfinex’s stint as a client of HSBC didn’t pan out, as the exchange had to shut down 100% of its fiat deposits on Thursday. This fueled rumors of Bitfinex’s financial insolvency even further, causing thousands of users to liquidate their Bitfinex fiat credit in exchange for crypto assets. Moreover, the fact that Bitfinex’s leadership has been tied to that of Tether’s hasn’t helped the situation either, as many began to “untether” their USDT en-masse, resulting in the reportedly USD-backed stablecoins falling to under $0.98 a piece on some platforms. 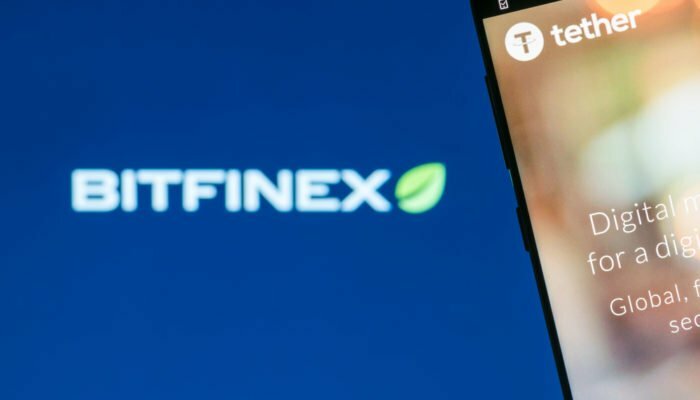 Bitfinex’ed, a popular, yet controversial Twitter page that highlights the “Bitfinex/Tether fraud,” had much to say on the situation as he/she isn’t the biggest fan of the platform, to put it nicely. The Bitfinex exodus continues. The fewer Bitcoins on Bitfinex, the better. The less chances that they have to use your Bitcoins against you. Thousands on Twitter and Reddit echoed Bitfinex’ed’s sentiment, resulting in a snowball effect that saw the premium on potentially duplicitous exchange swell to extremely high figures. According to data compiled by BitMEX’s research team, the Bitcoin price premium on Bitfinex is nearing 1.75% and is only slated to continue to grow. The Block’s Cermak corroborated this report, revealing his own set of numbers that indicated that not only is Bitfinex seeing a premium, but all exchanges that support Tether are as well. In fact, the two largest exchanges on the globe, Binance and OKex, who both happen to offer USDT trading pairs, have seen upwards of 1% premiums due to the dump of USDT tokens on their platforms. While Bitfinex’s top brass “expects the situation to normalize within a week,” if by any chance this normalization does not occur, the worries that Bitfinex is insolvent and Tether is unbacked may continue to spread like wildfire. Hypothetically speaking, while the crypto industry would likely be able to recover from the collapse of Bitfinex, if Tether bit the dust, this budding space may be all but lost. More specifically, as USDT plays an integral role in this market’s foremost exchanges, some fear that the sudden dissolution of the stablecoin will damage the reputation and security of this industry beyond return. This, along with a multitude of other potentially damming reasons, is why many have dubbed Tether, the “biggest crypto scam,” or a similar phrase along those lines. Cynicism aside, a post from the exchange indicates that Bitfinex’s team is doing their utmost best to resolve the solution, so for now, it’s all about playing the waiting game.